In 1992 the United Nations declared march 22 as World Water Day with the aim of focusing attention on the importance of freshwater and advocating for the sustainable management of water resources. This year’s specific theme focuses on Food Security. In connection with the major advances that, in terms of access to water and adequate sanitation have taken place in recent years, UNICEF and the World Health Organization (WHO) made public, to the beginning of the month of march, the report Progress on drinking water and sanitation 2012 (Progress on drinking water and sanitation 2012). It deals with the degree of fulfillment of the Objectives of the Millennium Development goals (MDGS), in particular the aspects related to the Aim 7 “Guarantee Environmental Sustainability“; Meta7.C “halve, by 2015, the proportion of people without sustainable access to safe drinking water and basic sanitation”. According to the document, there is good news: the goal of halving the proportion of the population without sustainable access to safe drinking water between 1990 and 2015 was reached in 2010, five years ahead of schedule. With this statement, and without asking more about the information behind them, we could be happy, we should congratulate ourselves because the efforts of so many institutions and Ngos that have been working for decades that people do not die of thirst or from diseases associated with poor water quality, have collected their fruits. However, how we should celebrate the fact that today more than 780 million people still do not have access to improved sources of drinking water, and 2,500 million lack adequate sanitation? in Addition, if current trends continue, the numbers continue to shown an unacceptable reality: for the year 2015, 605 million people will not have access to safe drinking water and 2.4 billion do not have access to adequate sanitation. Also, the differences between the different regions of the world are enormous. While the coverage of access to drinking water sources in Latin America, the Caribbean and most of Asia is 90% or higher, in the region of sub-saharan Africa drops to 61%. Africa remains the most forgotten. Also important are the differences between urban and rural areas. It is estimated that 96% of the world’s urban population uses a system of improved water, of which 80% of the global population is urban with a system of water connection. However, the percentage of population with improved water descends to 81% in rural areas and only 29% have water connection. If we face the challenge of sanitation, the data are even worse. 79% of the urban population with adequate sanitation, while only has the 47% in rural areas, which means that 1.8 billion people do not have access to these services, that is to say, 72% of the world’s population lacks access to adequate sanitation. 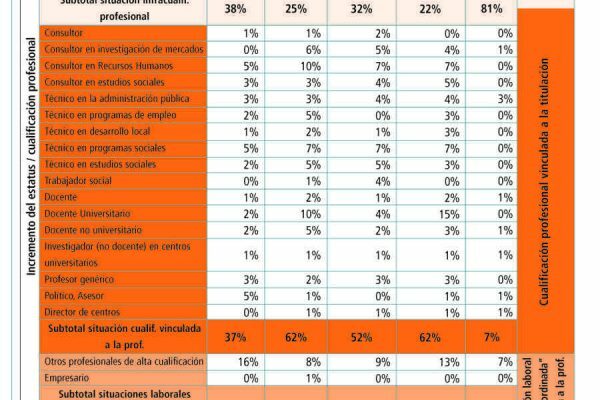 But there are even more factors that prevent us from applauding this course compliance: there is a lack in the sources of information and data availability, as the report itself acknowledges. It is known, with greater or lesser degree of success, who have access to the water but you do not know the quality of the water supplied, that is to say, is not performing a routine surveillance at the global level on microbiological parameters and chemical given its high cost and complex logistics. It seems that, in this sense, there is sufficient evidence to indicate that the total number of people who consume drinking water from safe sources is overestimated. The figures and the data (or lack of contrast) after the initial owner, blocking our momentary satisfaction. There is still much to be done, a lot of work to develop for every 20 seconds not to die a child in the world from causes related to water. More are needed, impulses, especially if we look beyond the water (without water there is no life, but water is not everything). If now we put on other glasses, not only those that show a reality water part, but a vision of the whole, it seems clear that we can say that is much left for us to fight to achieve many other Objectives of the Millennium Development goals. 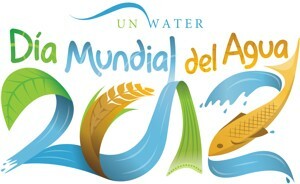 For example, the hunger; the central theme of this World Day of Water. Without water there is no life and without food (which require water for their crop), either. Without water, it is not possible the production of the staple crops needed for a self-sufficient and ensure a minimum food for the subsistence of the families; without water is not possible the care of the cabins, livestock and fish production also depends on the quantity and quality of waters, both coastal and fluvial. The fact is that every night you go to bed with hunger 925 million people, which implies that we are also very far from achieving this goal (the first MDG) of eradicating extreme poverty and hunger. In conclusion, we cannot hold anything; nothing stopping you from having the consciousness completely quiet with the drama of water and food to suffering millions of people in the world. A tragedy that is far from to be on its way to be resolved, may be increased; not so much by technical issues, in order to feed the 9,000 million people expected to be in the year 2050; but the lack of political will to provide a solution to a problem that affects us directly to all the citizens of Planet Earth. Irene Pérez is a graduate in Environmental Science porla Universidadde Alcala, specializing in Environmental Education and Sustainable Development, a postgraduate degree in International Cooperation to Development. In September 2000, leaders from 189 nations promised to met at the United Nations headquarters in New York to adopt the Millennium Declaration, committing their countries to a new global partnership to reduce the levels of extreme poverty and setting a series of objectives subject to a term, known as the Millennium Development Goals (MDGS), and the expiration of the time limit is set for the year 2015. With improved sources of drinking water refers to domestic connection, public, protected well or rain harvesting; not being able to include the systems of water purification started in the countries referred to as developed. For its part, the access to adequate sanitation refers to adequate disposal of excreta (private or shared but not public) that can prevent the contact with both human and animal excreta. Improved facilities range from simple pit latrines to toilets. To be effective they must be properly built and maintained. According to data from the United Nations Organization for Food and Agriculture (FAO), 2010.